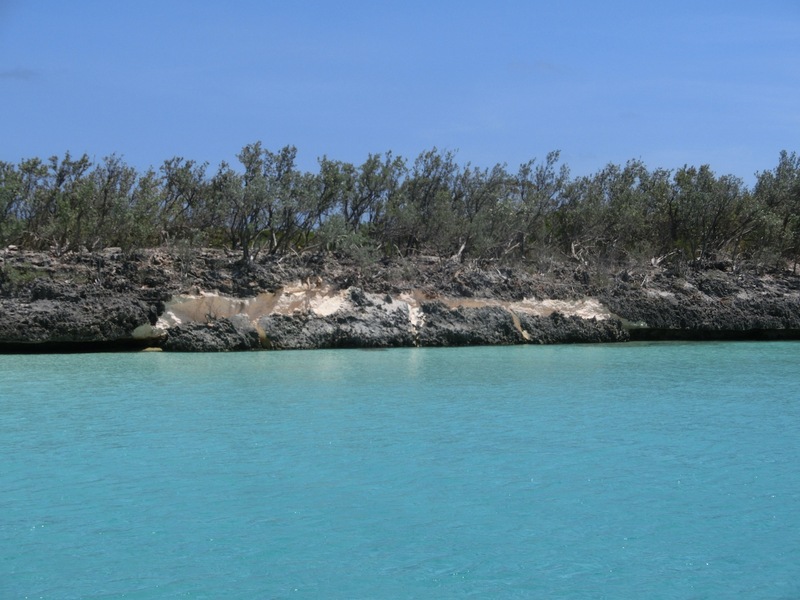 We arrived and anchored in deserted Nurse Cay with its beautiful white sand beach and clear waters. 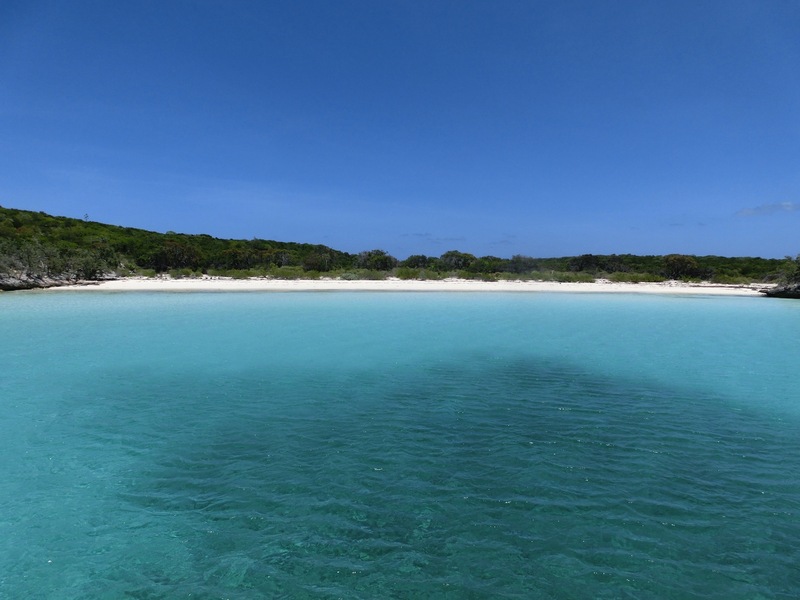 Nurse Cay, a beautiful unspoilt bay of white sands and turquoise waters. 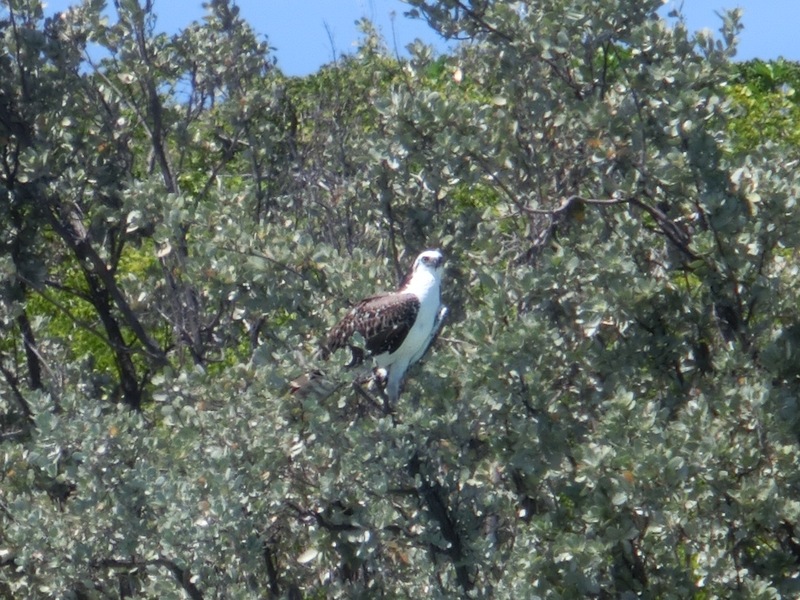 We could here the call of this Osprey that stayed with us all afternoon. These amazing undercuts often several meters eventually give way with further erosion and collapse. 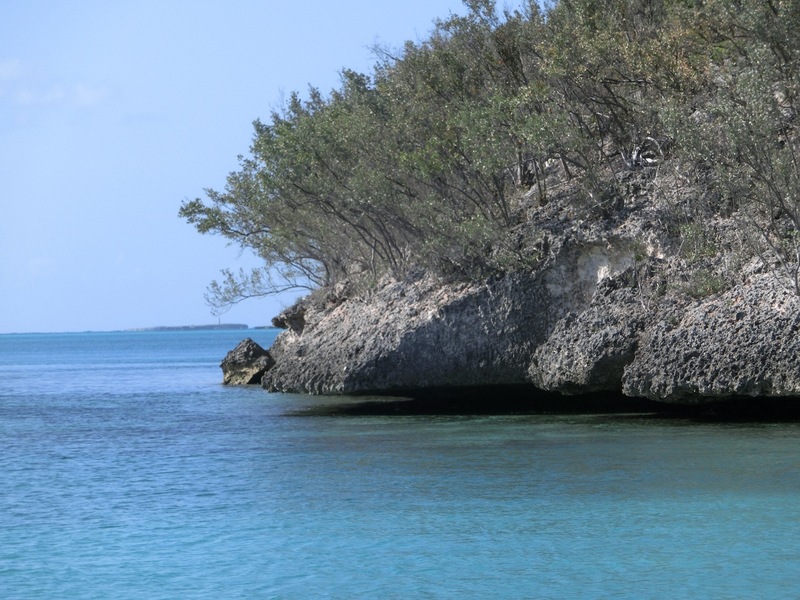 The Jumentos Islands are truly unspoilt and completely undeveloped. 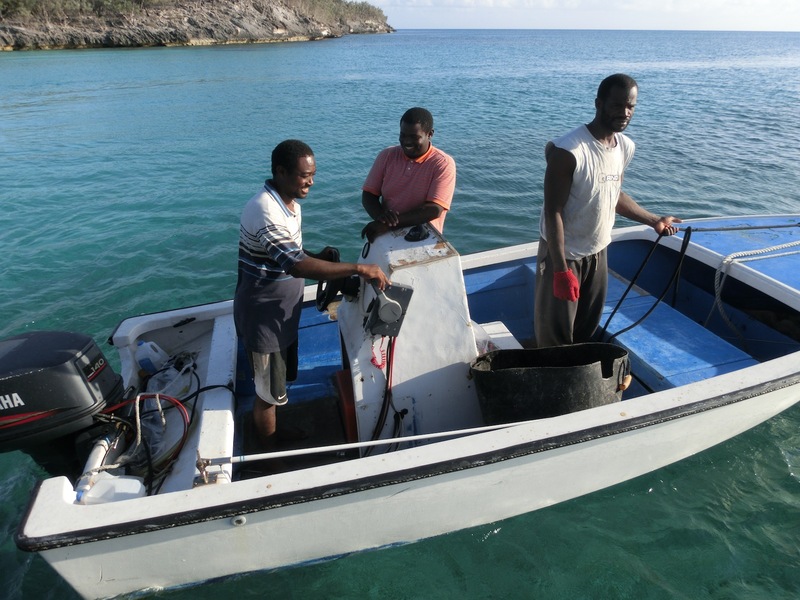 Here at Nurse Cay fisherman stop by to take shelter from the weather and clean their catch but only wildlife and goats live here. Sometimes the large eroded undercuts collapse. We were approached by some very friendly fisherman – Fishing Boat Sweet Angeline who chatted with us before offering to bring us some Grouper for tonights Dinner. They and sent a man ashore to cook up the bait for their fishing pots, we were glad to be upwind of the cooking pot- a huge oil drum on an open fire. 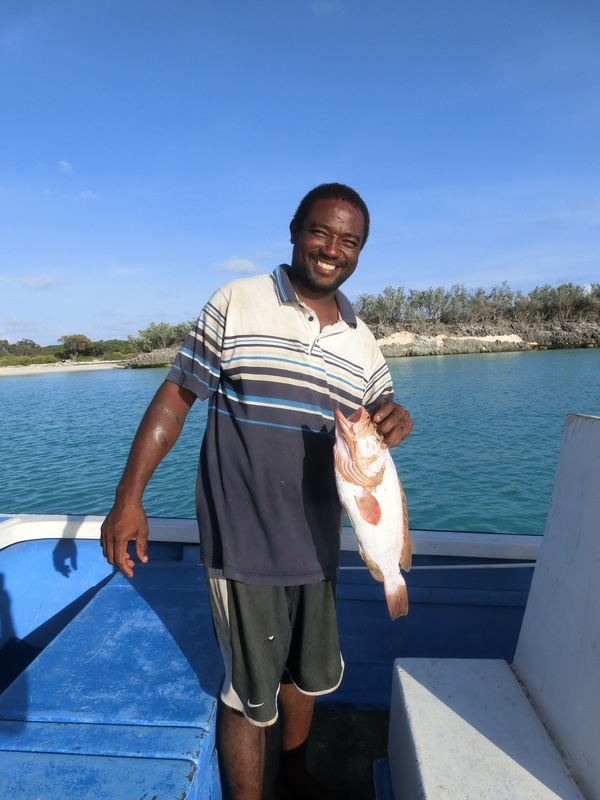 We feel so very lucky when Ronstan returns with a nice sized Grouper which he proceeded ro fillet and clean for us whilst chatting about life. We had seen several sharks in this bay and no realised that they were used to scavenging fish guts and waste from the fishing boat. The boys from Fishing Boat Sweet Angeline. Boys and their toys! 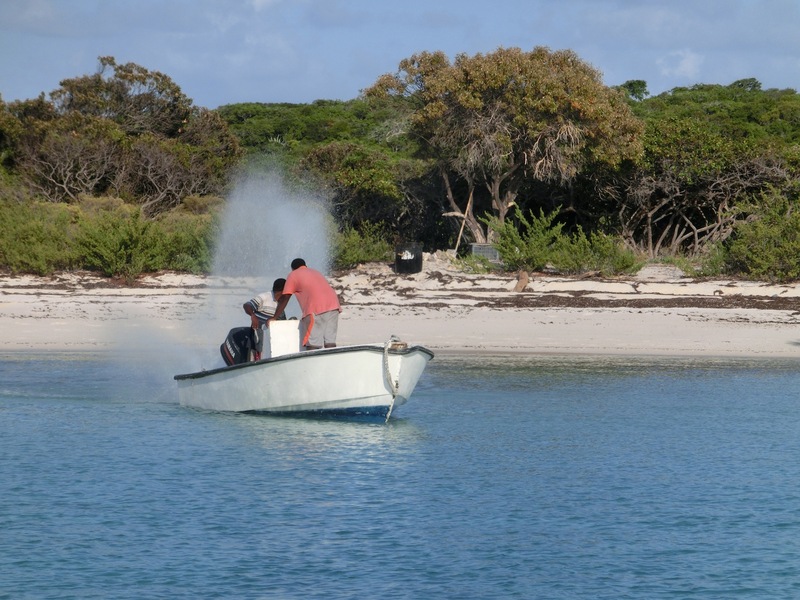 The boys mess about in their boat spaying water about with their outboard seeing how high they can make the fountain go! The boys are in high spirits and mess about in the bay before leaving us in peace. 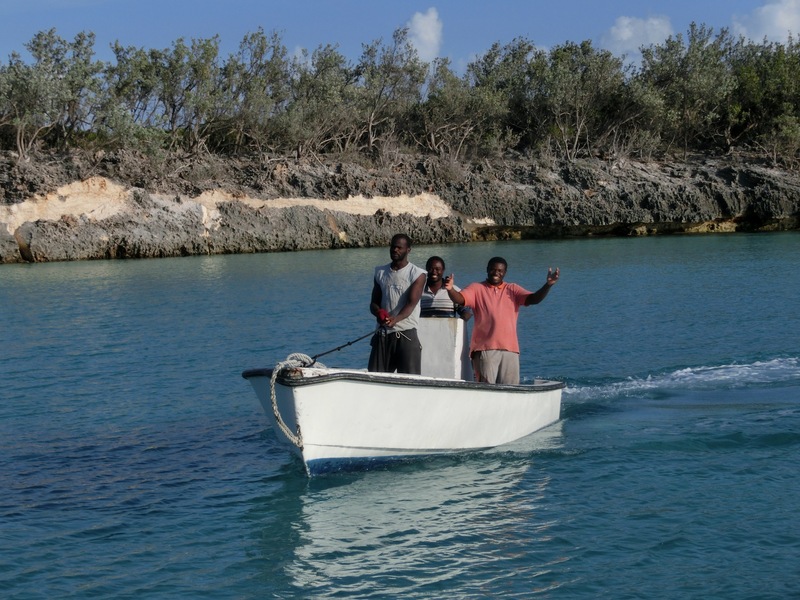 Later we met them ashore with our friend Doug and had a bonfire and some very good rum. Conversations of life, of love and of course how to handle women- seem to be of great concern wherever you are in the world. Being the only woman their I hadn’t the heart to tell them they had it all wrong!